A sophisticated addition to any home! Your staircase is an important feature of your home. Glass staircases are impressive and add sophistication to interiors with modern design-conscious owners. We understand the need to create focal points in your home, and our glass balustrades and bespoke glass rails will effortlessly improve your home’s aesthetics and add great value to stylish interiors. We’ve installed glass balustrades into a number of properties; both domestic and commercial. Since the beginning, we have remained committed to excellent customer service and high-end finishes. 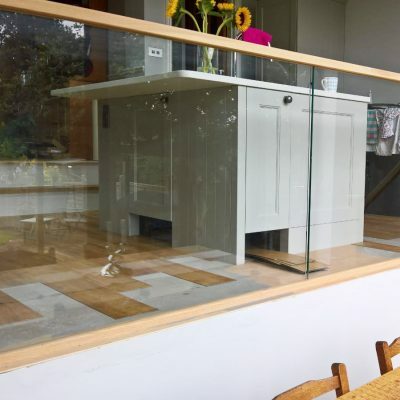 Our team of glass and glazing experts are dedicated to supplying and installing glass banisters that suit or enhance your property’s character. 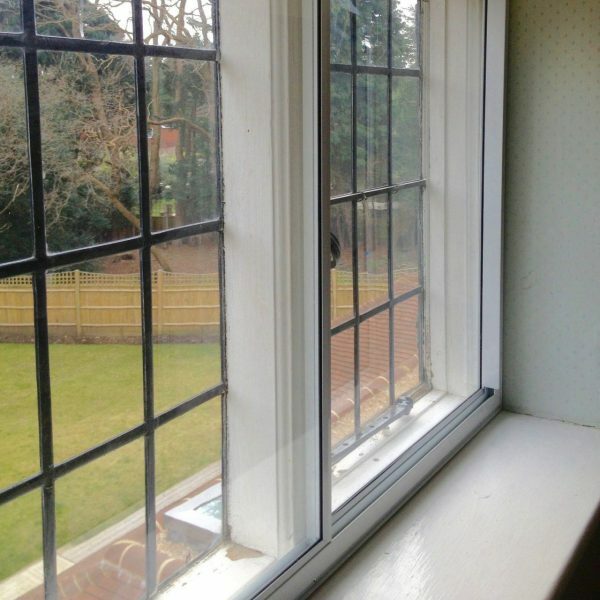 With years of experience behind us, we know how best to fit any style of glass balustrade. 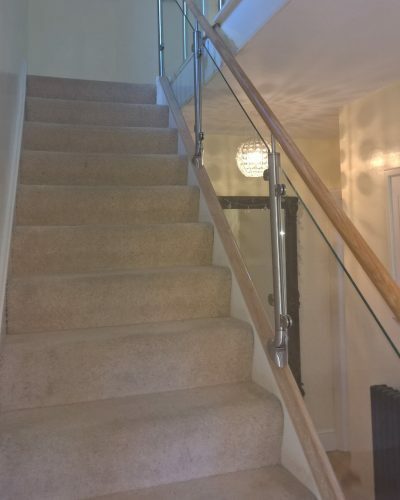 Although our installation expertise play a big part in the longevity of your glass banister, it also comes down to the quality of the product itself. 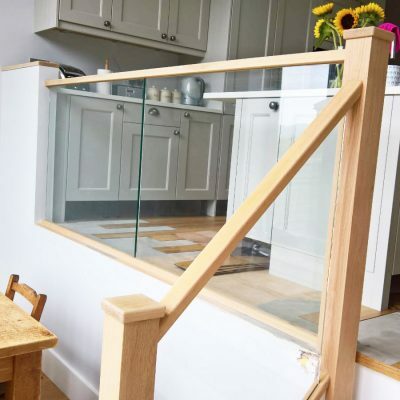 Using strong, toughened safety glass, we guarantee that our glass banister will be securely fitted, long-lasting and extremely low maintenance. Add instant glamour to your home with our tailored, sleek and contemporary glass banisters. With a dedicated team of glass experts on hand, they will be able to manufacture a stunning glass banister that is tailored to your unique design preferences. An effective method to modernise your home. Replacing a staircase with bespoke glass stairs and railings will completely change the overall look of your living space. 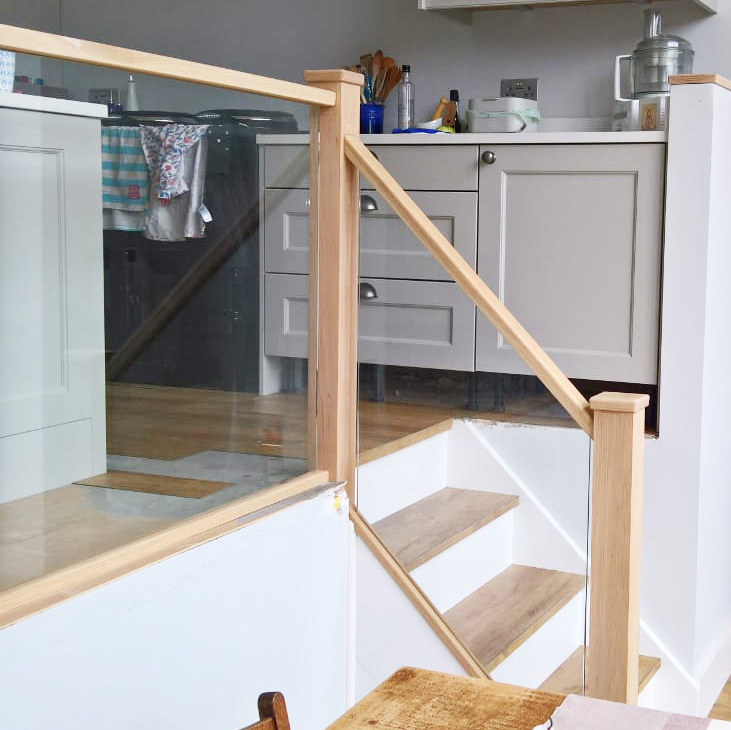 If you want to modernise it or open up a space, our glass stairs and banisters are a brilliant option. They're more than just a pretty face. 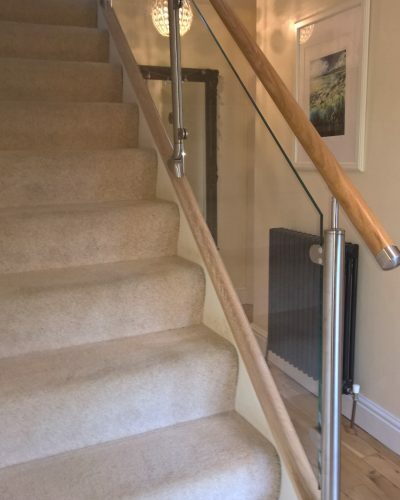 Our glass banisters and stairs are engineered with toughened glass. 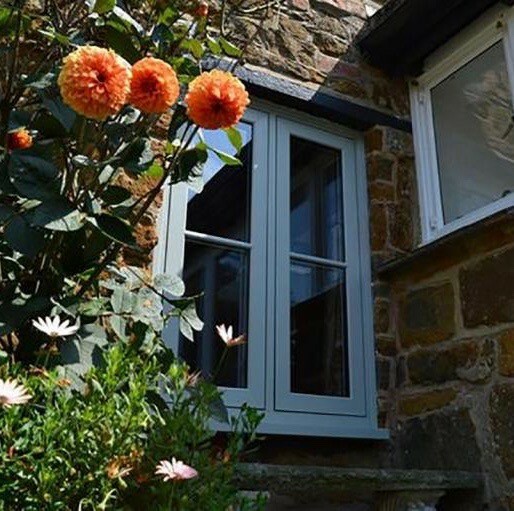 This combines strength and safety with low maintenance, whether you choose one of our designs or one of your own. Creating jaw-dropping displays to accentuate lighting will enhance your home’s appeal, which is great, but we want to ensure your glass balustrades will gift you with years of style and safety. 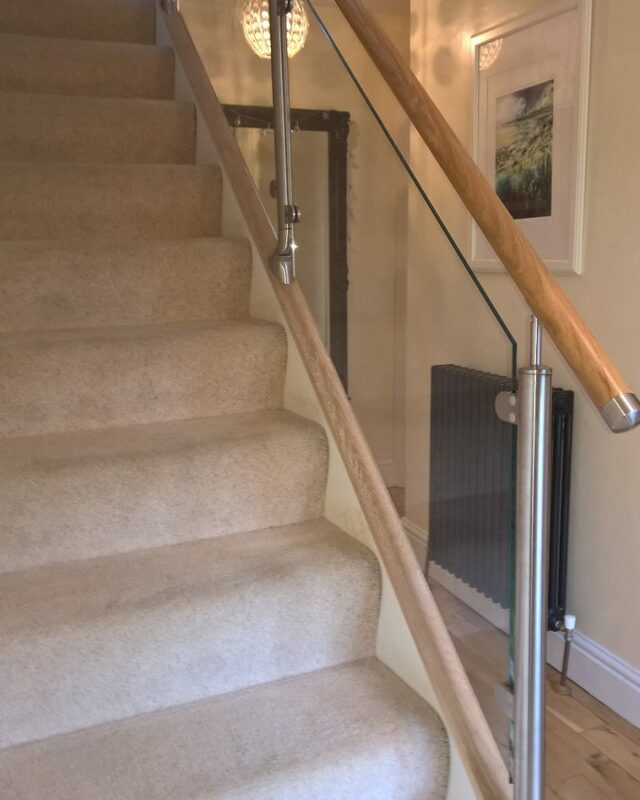 Would you like a free quote for your bespoke glass banister?